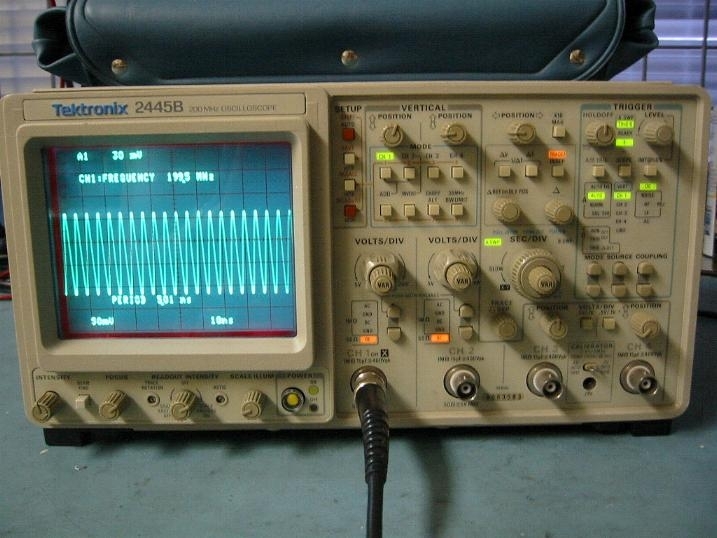 Advantest TR4131 10kHz-3.5GHz portable spectrum analyzer. 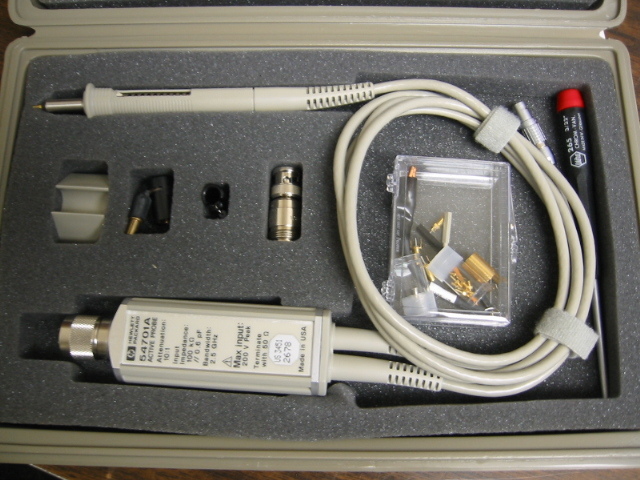 GPIB, RS-232, Video out, Audio jack. pic IN STOCK. HP 3580A 5Hz-50kHz. 100nV to 20V amplitude, 80dB dynamic range. Opt 002 pic Rechargeable batt. +$250. HP 8569A 10kHz-22GHz, Signal storage, memory, GPIB output to printer or plotter. IN STOCK. 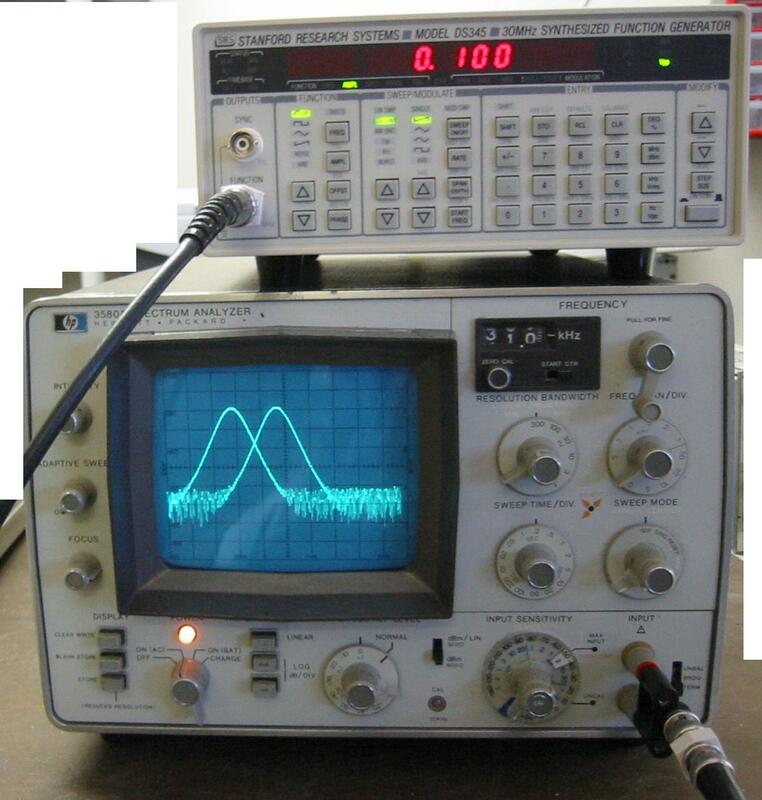 HP 8590A 10kHz -1.5GHz, Portable spectrum analyzer. 1 kHz resolution, opt 021 ( GPIB). New CRT pic IN STOCK. 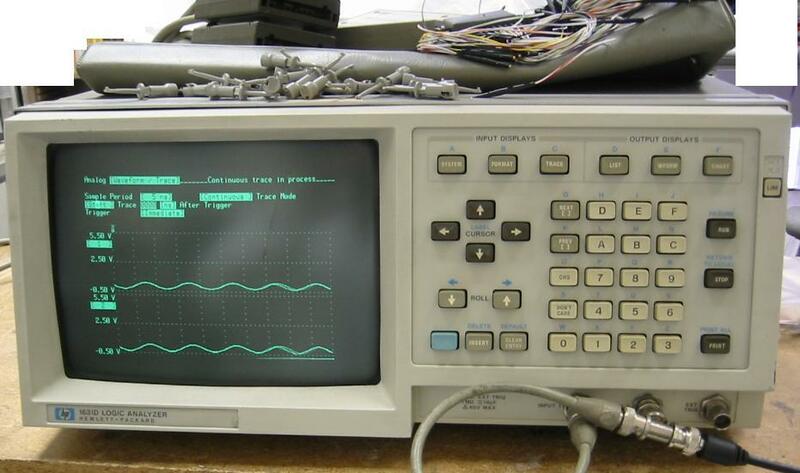 HP 8591A 10kHz -1.8GHz, Portable spectrum analyzer. 1kHz resolution, 4 digit accuracy. pic IN STOCK. 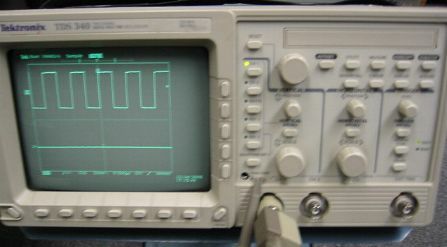 HP 8595E 9kHz -6.5GHz Spectrum analyzer. 30Hz resolution. Available options: 021, 041, 140. pic IN STOCK. 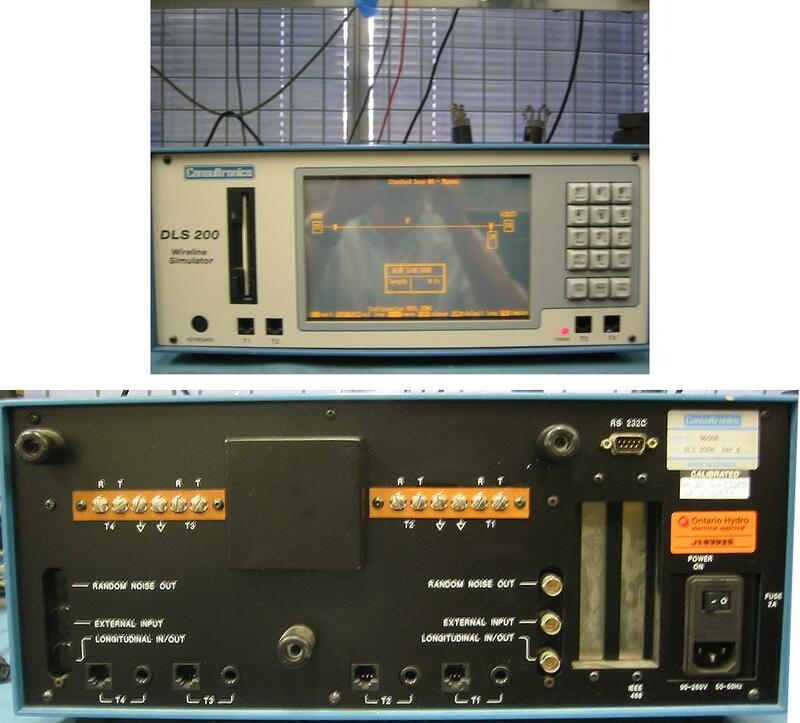 HP 339A Distortion Analyzer with built in Signal source. 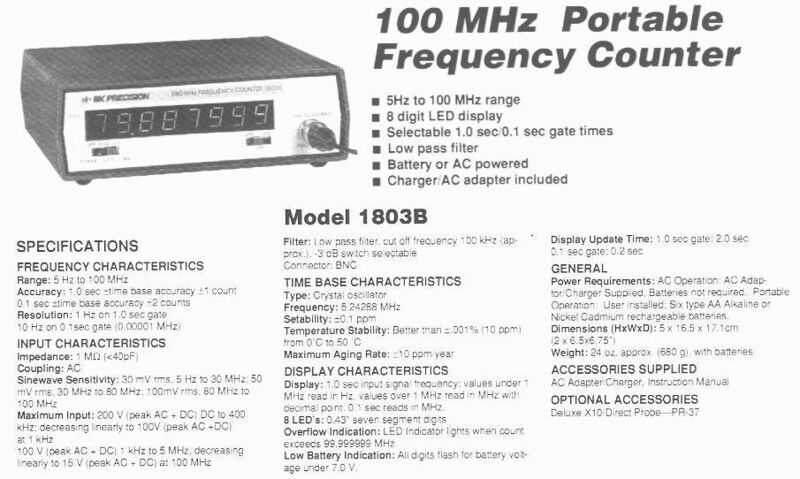 Signal range: 1mV-300V, 10Hz-110kHz. 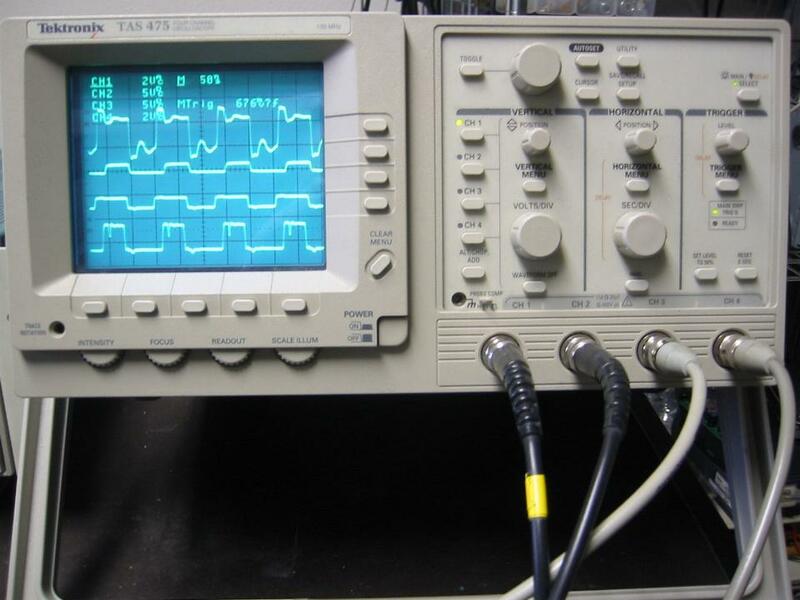 HP 8753A Network analyzer. 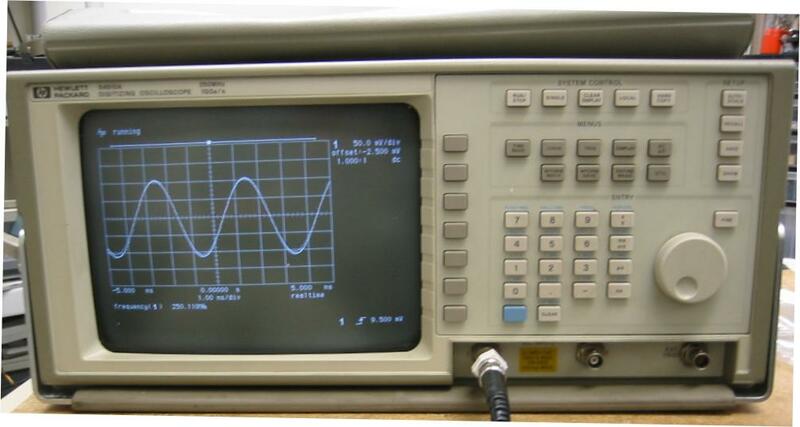 300kHz to 3GHz, opt 010 Time domain measurements. Bright CRT! 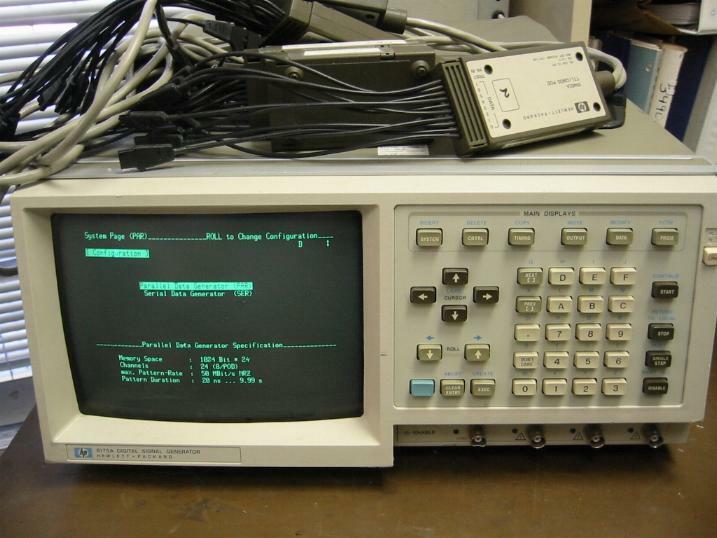 HP 8753B Network analyzer. 300kHz to 6GHz, opt 002, 006, 010. Excellent CRT display. EIP 548A 26.5GHz Microwave counter. Covers 10MHz to 26.5GHz frequency range. IN STOCK. 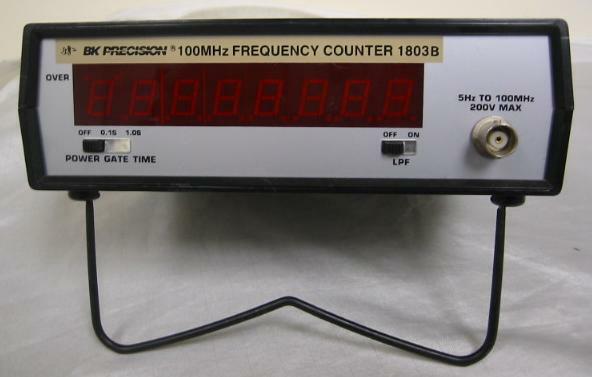 EIP 548B 110GHz Microwave counter. Option 6 included. GPIB interface. IN STOCK. wj. Polar 550 Milliohmmeter with short locator. Measure resistance down to 1 mOhm or locate short circuits on any PCB board., Built-in current source. Ohmmeter 200 mOhm to 20 kOhm in 4 ranges. 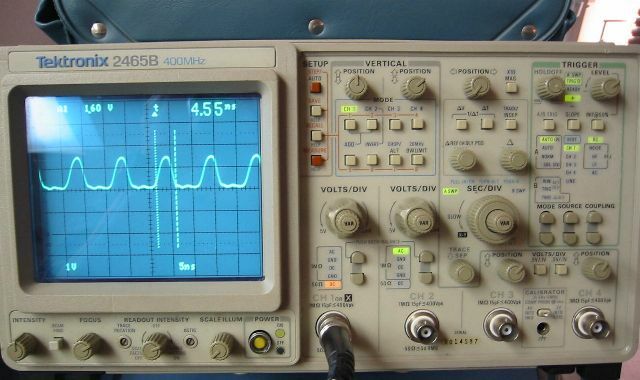 BMI A600 AC current probe. 600A contunuous current capacity. For BMI power analyazers. HP 8012B 50MHz. Adjustable rise & fall time time (5nS min). adjuastable DC offset for TTL, ECL, CMOS . LeCroy 9211 Pulse generator plug-in. 250MHz repetition rate. IN STOCK. 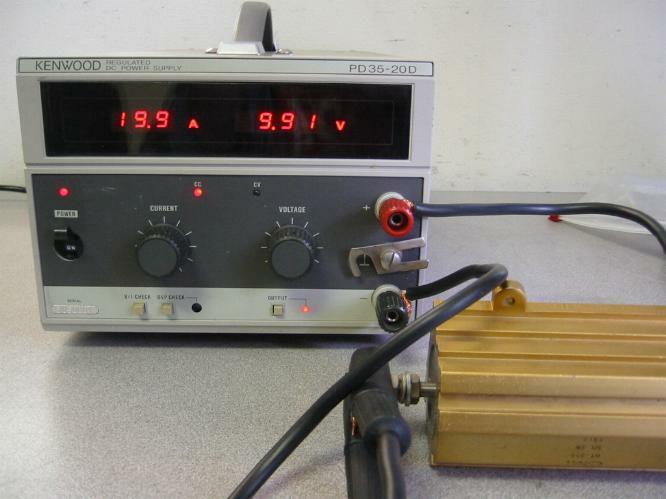 300pS rise time, 5V into 50Ohm. 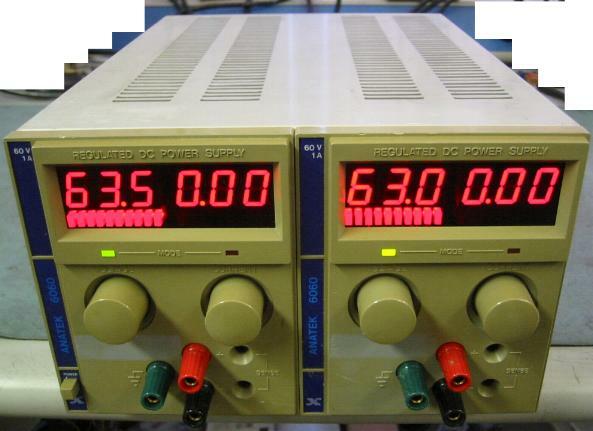 SRS DG535 Repair service for your Stanford Research Systems DG535 Digital delay generator. SRS DG535 Digital delay pulse generator. Opt 001. IN STOCK! 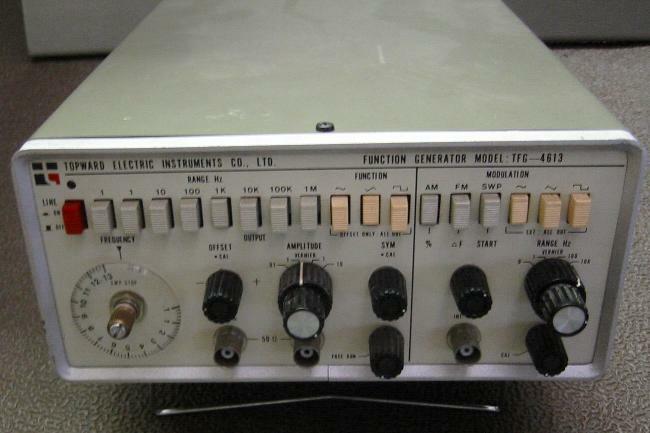 Tektronix PG505 High voltage pulse generator. 1MHz repetition rate. 80V pk-pk into 4kOhm, Variable Transition times. 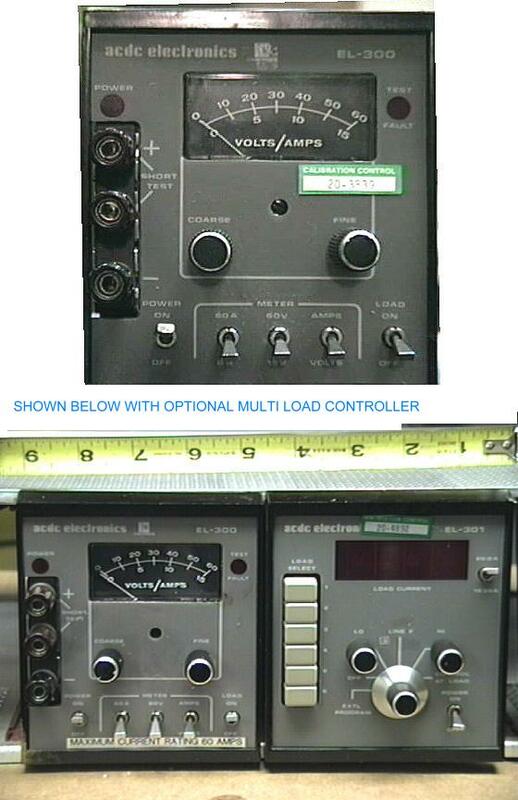 Tektronix TG501 Time mark generator for calibrating any oscilloscope time base. 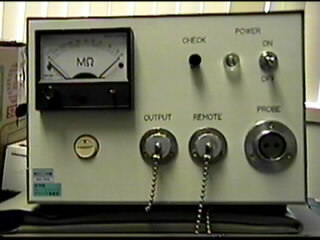 Optional 5MHz time base. HP 204D Sinewave oscillator 0.1Hz-1.2MHz, low distortion 600Ohm output. TEKTRONIX SG502 Oscillator, 5Hz to 500kHz Sine and Square Waves, Low distortion Sine Wave, 5 V RMS, 600Ohm output impedance, 70dB attenuator with 10dB steps. Hughes 8000H TWT Amplifier 3-5 GHz, 20 Watt output. Fulls specs are available upon request. Hughes 8000H TWT Amplifier 10-15GHz, 40 Watt output. Fulls specs are available upon request. 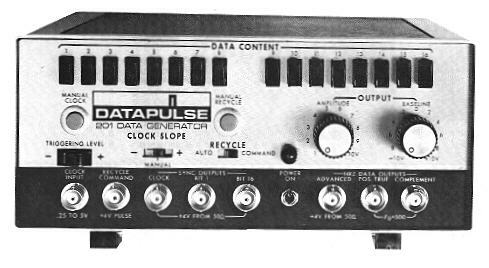 Kalmus 166AP Pulse amplifier. 400-450MHz, 300Wt output power. Linear gain. 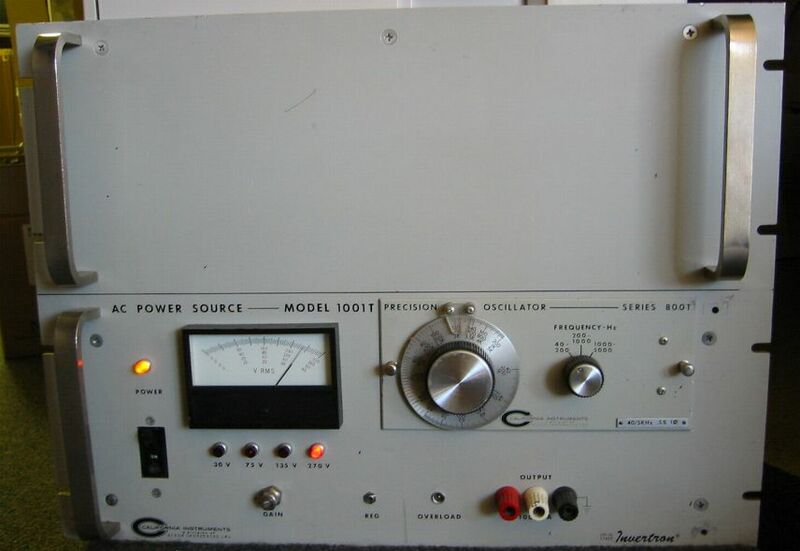 Kepco BOP20-50MG Power amplifier Bipolar power supply. +/-20V, +/-50A. Latest model. MSRP $7,000. IN STOCK! Kepco BOP36-6M Power amplifier Bipolar power supply. +/-36V, +/-6A. Works as a power op amp to driver loads up to 210Wt. 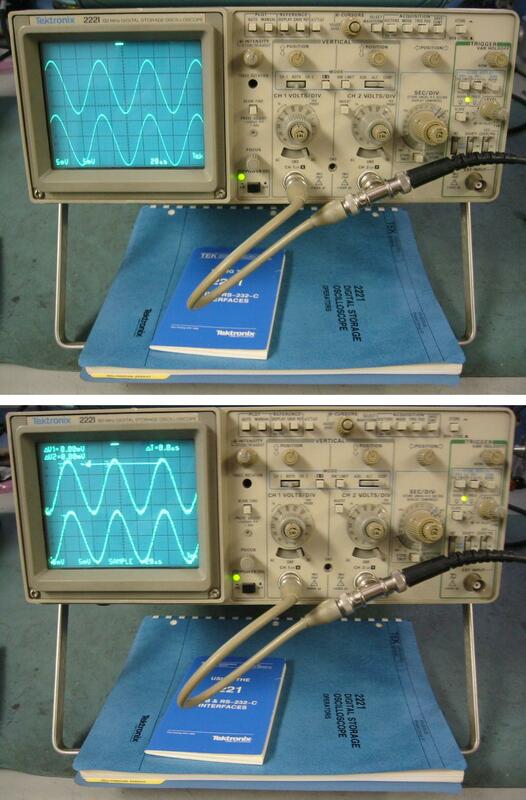 Tektronix 222 Handheld 10MHz, 2 Chan. 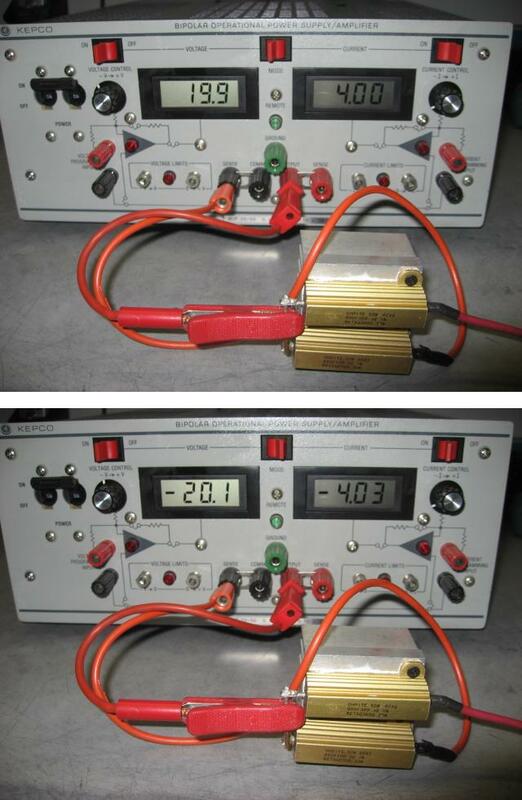 Digital storage, 10Ms/s, Battery or 12VDC operation. 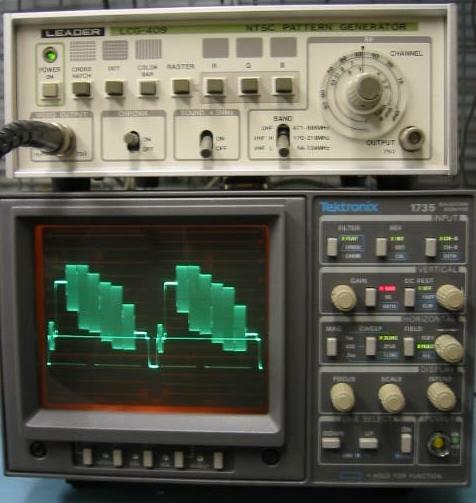 Tektronix 5115 2MHz analog storage oscilloscope. Up to 8 traces simultaneously with 5A14 plug-ins. Agilent 5062-7345 Rack mount kit for the Agilent & HP 54600 series oscilloscopes. Data Check 5010-ACP XYZ display. Substitute HP model. JVC TM-550U PAL/NTSC studio monitor. Three way power source 12VDC/120VAC or 12V batt. small size. HP 1340A XY display. Z axis input. High speed and high resolution display. IN STOCK. HP 37461A GPIB programmable display. 6" Hi-res CRT. IN STOCK. 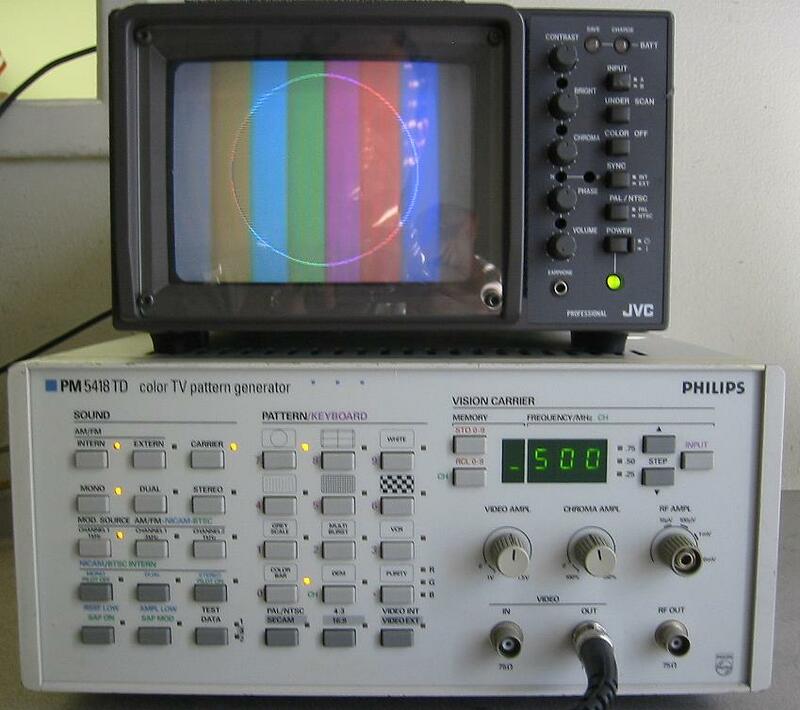 Leader LBO-5860L TV waveform monitor. Dual channel, Line selection, field selection functions. 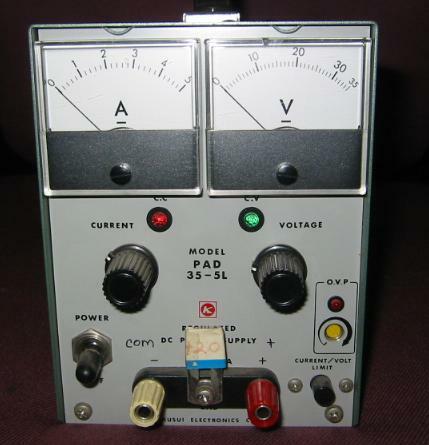 Leader LVS-5851A PAL/NTSC Vectroscope. Dual channel. IN STOCK. 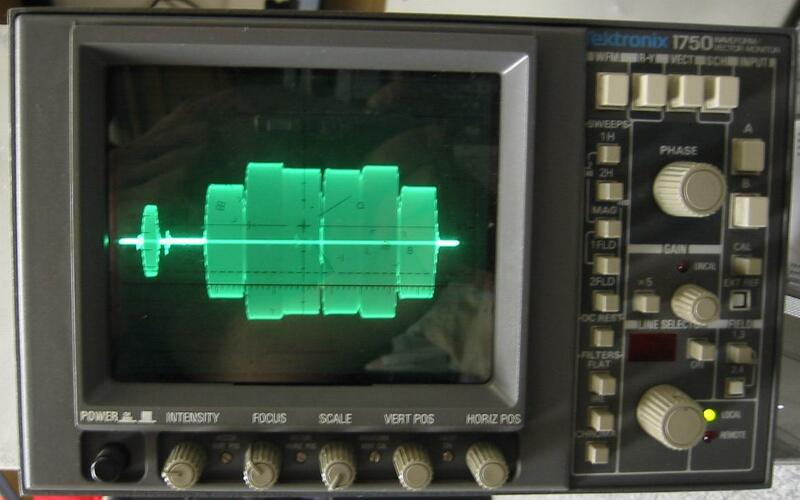 Tektronix WFM300 TV Waveform Monitor. Betacam mode (opt. 10). IN STOCK. 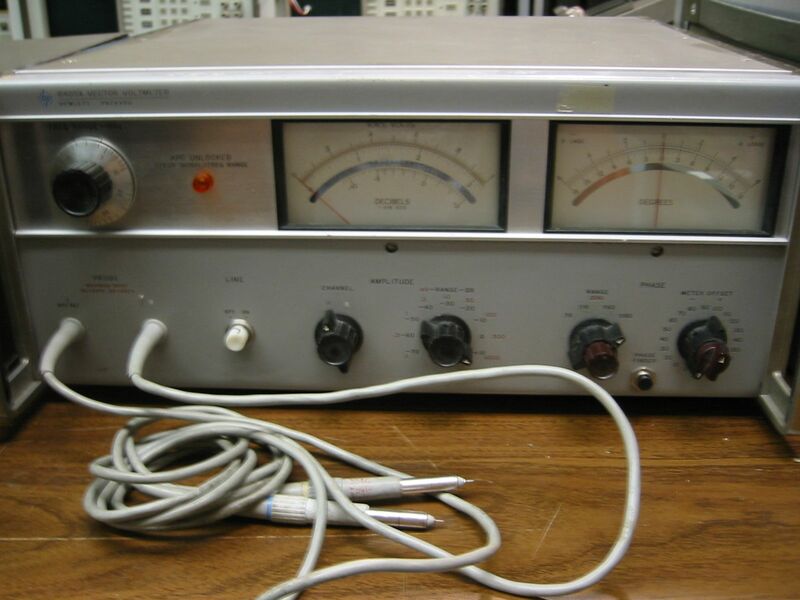 Tektronix AM503A Current probe amplifier with TM502A chassi. For TEK A6302, A6303 probes. 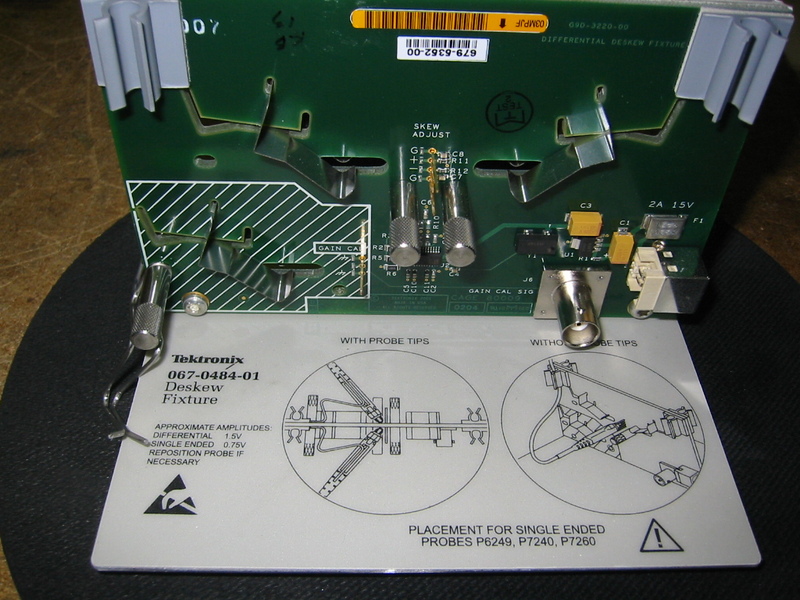 Tektronix P6202A 500MHz FET probe for 50 Ohm or 1 MOhm systems. 2pF input capacitance. 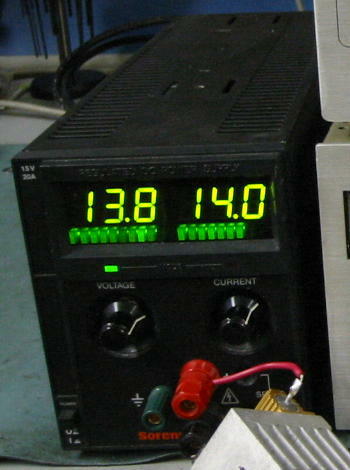 Dynamic range +/-6.0V ( 60V with external attenuator). 10x attenuation. DC Offset nulling. 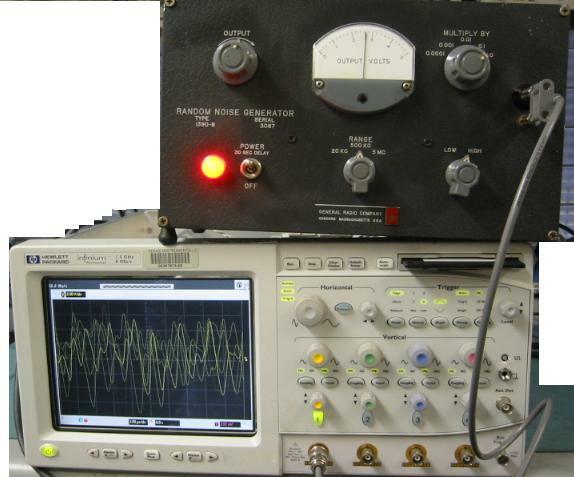 Tektronix S-3A Sampling head DC- 1GHz with probe. Rin= 100kOhm, <2.3pF. Complete set of accesories. Tektronix TD100 Data managment computer for the Tektronix TDS series oscilloscope family. Adds hard drive storage thru an oscilloscope GPIB interface. HP 6200B 0-40 V, 0-0.75A, or 0-20V at 0-1.5A. Constant voltage or current. Regulation: 0.01%. HP 6294A 0-60V, 0-1A Constant current or constant voltage mode. 0.01% regulation. Linear. HP 6296A 0-60V, 0-3A Constant current or constant voltage mode. 0.01% regulation. Linear. 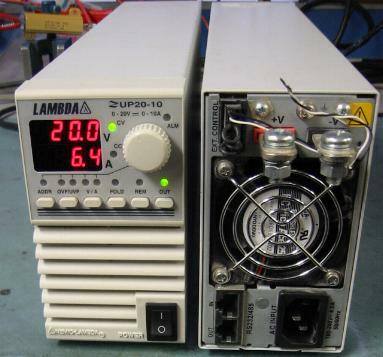 Lambda LQ-533 0-60V, 0-3.3A. Digital display. Constant current or constant voltage mode. 0.01% regulation. 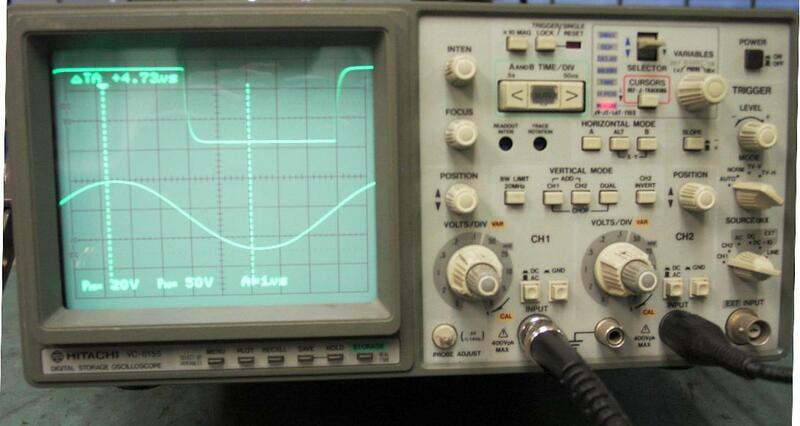 Agilent 6544A 0-60V, 0-3.5A IN STOCK! Sorensen DCS60-18 0-60V, 0-18A, Const voltage or Current mode. Only 1.5" tall, rackmount standard. 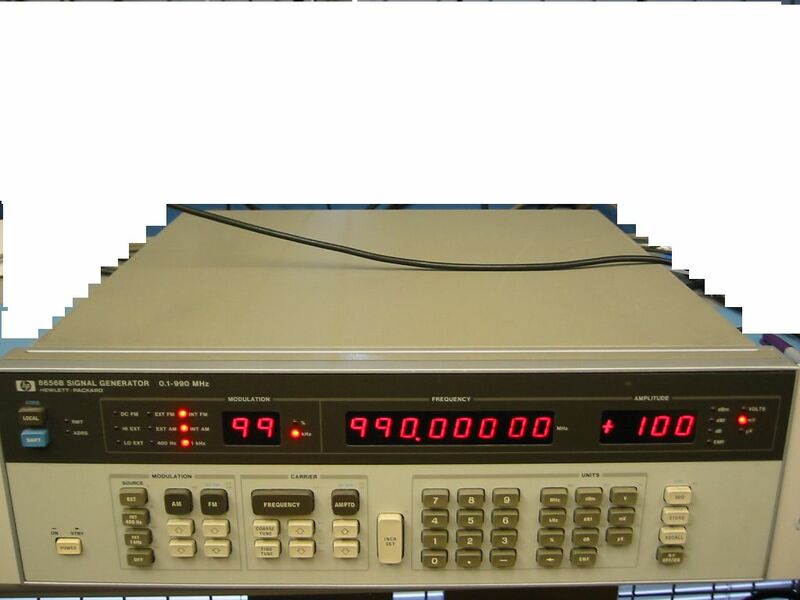 HP 6116A 0-100V, 0.2A Precision voltage setting with 0.1%+1mV accy, 200uV resolution. Agilent E3612A 0-120V, 500mA below 60V, 250mA above 60V. Constant voltage or current. 3.5 digit displays. AgiHP 6443B 0-120V, 0-2.5A. Constant voltage or current. Fine adjustment controls. Sorensen DCR150-3B 0-150V, 0-3A, Constant current or voltage mode. Bertan 105-30R 30kV, 33mA, Constant current or voltage mode. digital display, high resolution V/I controls, remote analog programming. 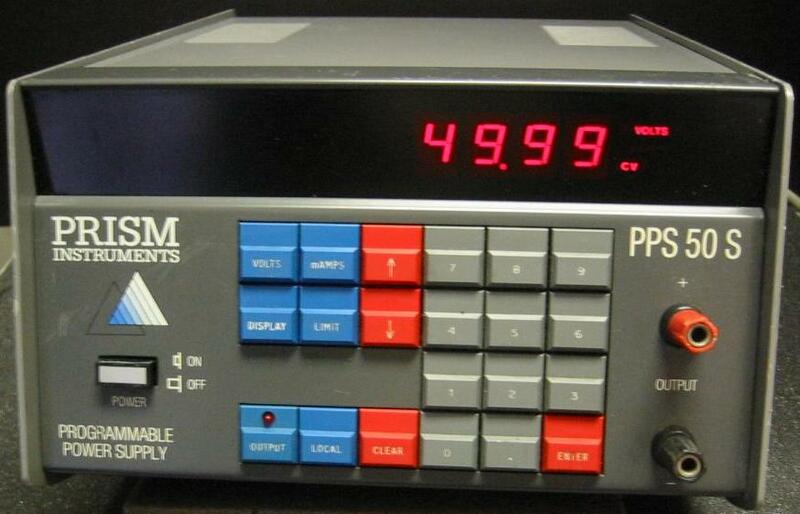 Acterna 4000 Communication analyzer. Two interface slots allow mixing of different test modules in one analyzer. 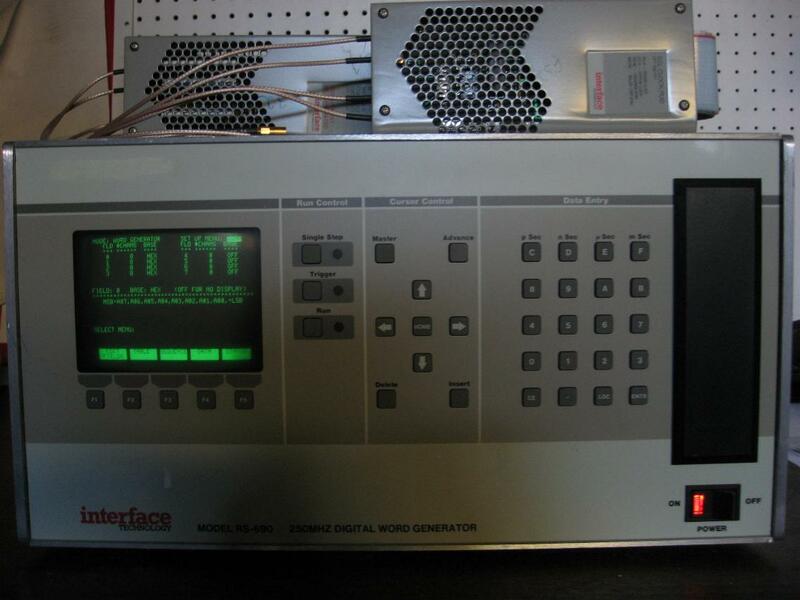 Acterna 6000A Communication analyzer. Inteface modules are available. Acterna 41440A T1/FT1 interface for the TTC6000A analyzer. Adtech 401427 Control module for AX/4000 system. Adtech 403100 Generator/Analyzer module for AX/4000 system. Ameritec AM5 Transmission Impairment Measurement Set. Runs on AC or battery power . GN Nettest 7500 OTDR. Flexible configuration with optional plug-in modules. Nettest 7500 OTDR. Flexible configuration with optional plug-in modules. 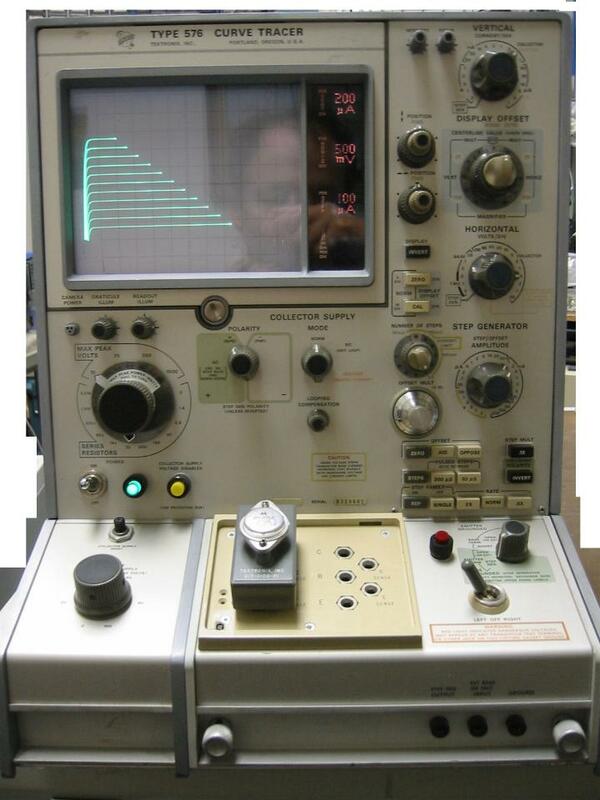 HP 28687A Wiring Tester. Test any wiring harness for continuity and signal integrity (attenuation, crosstalk, burst). Tests 24 pairs simultaneously. Loopback adapters included. 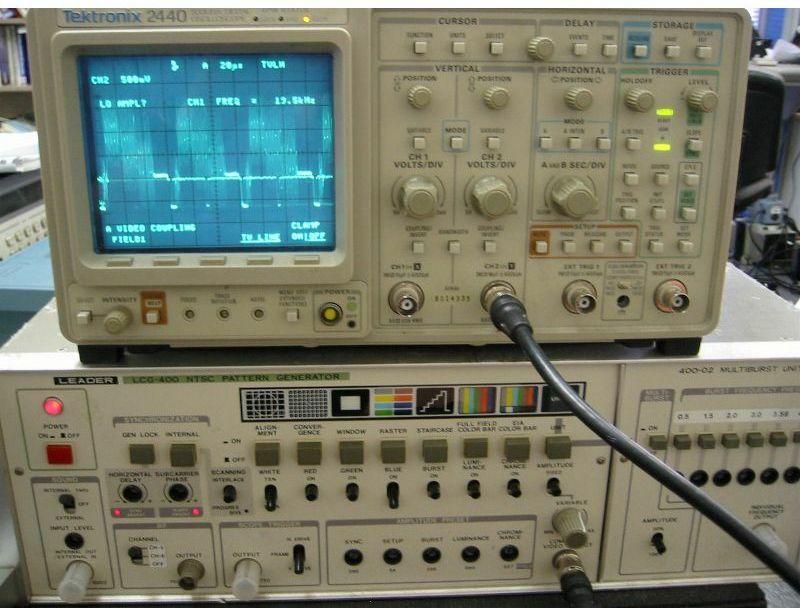 HP E4480A SONET Test Set. STS-1, STS-3, STS-3c, DS3. Pic IN STOCK. 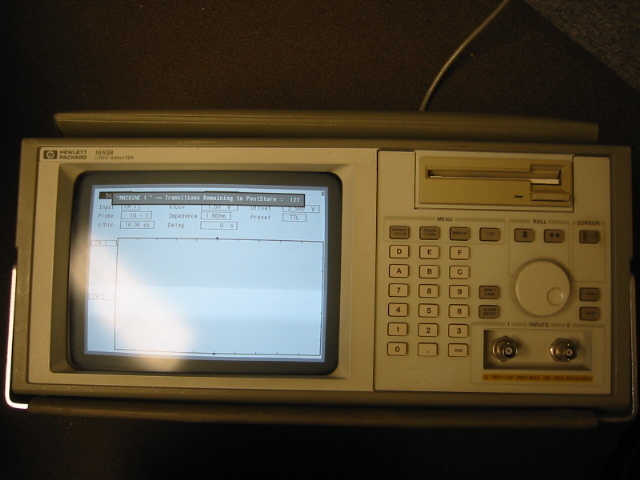 HP 3784A Digital communication analyzer. With Option 002. 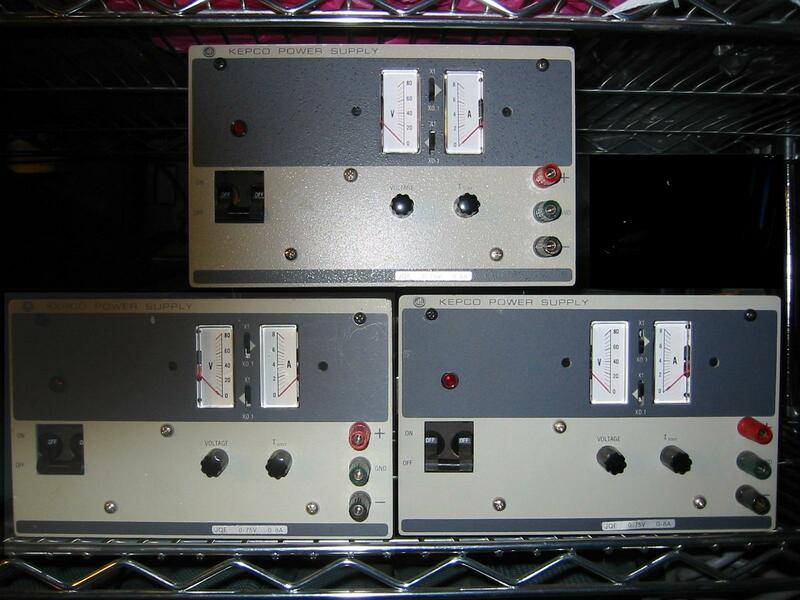 HP 4944A Transmission Impairment and Noise Measurment test set ( TIMS). 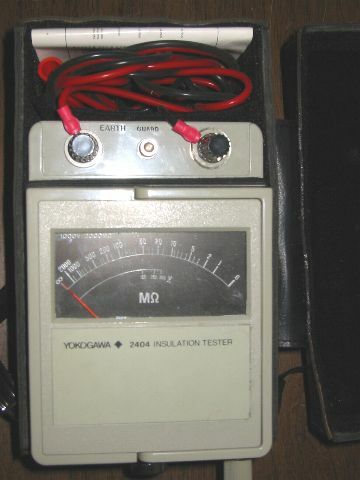 HP 4945A Transmission Impairment and Noise Measurment test set ( TIMS). 110kHz max freq.